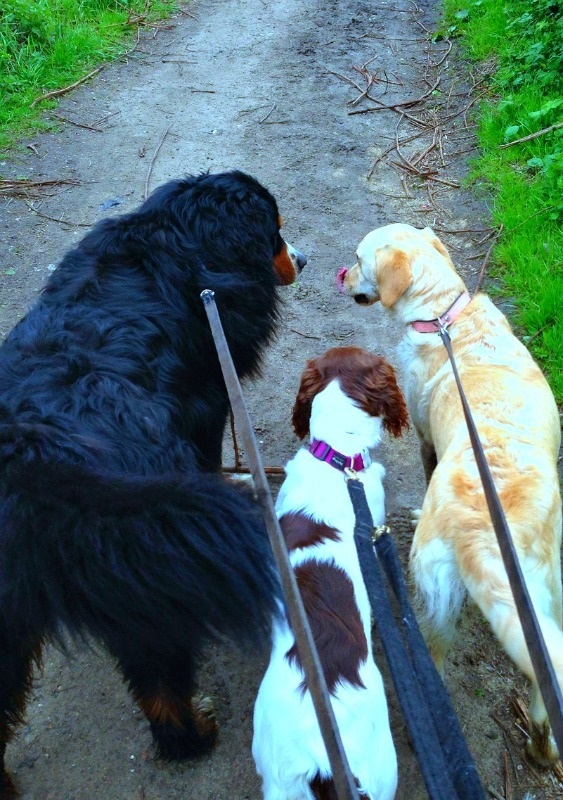 Our pup Maddie (middle) out with her friends Bruno the Bernese Mountain Dog and Lacey the Labradoodle. It’s a dog’s life. Hope they all stayed together nicely! aren’t they gorgeous? so cute together.